Another week, another couple of days of fun streaming. This week, we met the final viewership numbers to become a Twitch affiliate! I’m so proud and still in disbelief. I couldn’t have done it without all of you! You can now cheer bits (virtual pennies viewers receive by watching ads on Twitch) and Subscribe to the channel. If you have Amazon Prime, you get a free monthly subscription to a channel of your choice when you create a Twitch account or link your existing one to your Amazon account. You can use that free monthly sub on my channel if you want! (It would be amazing and I would be floored!) More details here on Twitch Prime. Subscribing to the channel also gives you some channel exclusive emotes. I’m working with a graphic artist but I’d like a meeple and some dice with viking helmets. 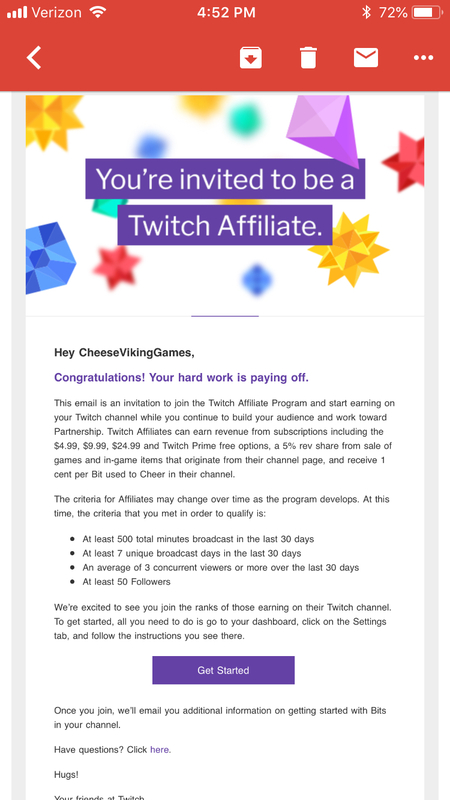 Subscribe and spam Twitch channels with CheeseViking Games goodness! Finally wrapped up Mario Party 2 as Luigi rescued Toad from Bowser in Bowser Land. We unlocked Bowser Land last week when we cleared the “last” map. In typical Mario Party 2 fashion, the game was very frustrating for the first 15 turns or so. Many computer players found hidden stars and we played some mini games poorly. Bowser Land was a fairly straight forward map, with two interesting choices. Every 5 turns, the Bowser Parade would follow a set path, chasing characters on the parade route back to the starting space. Characters lost coins for every space they were chased. The interesting part of the Parade was that players can interact with the board to change the parade route. The second interesting part of this map was how the Bank worked. On every other map, when players pass the bank, they pay 5 coins (or all their coins if they don’t have enough). If you are lucky enough to land on the Bank space, you get all the coins collected so far. Not a very practical banking system! In Bowser Land, players receive 5 coins every time they pass the Bank space. If you are unlucky enough to land on it, you pay the full amount of all coins given out so far. Design Lessons: The reverse Bank payout is absolutely brutal and I would hate to see it in a modern designer board game. The Bowser Parade opens up some neat design space, allowing players to slightly change a preset program to their benefit. The penalty for getting caught in the parade route is harsh, but the interaction with the board is interesting. 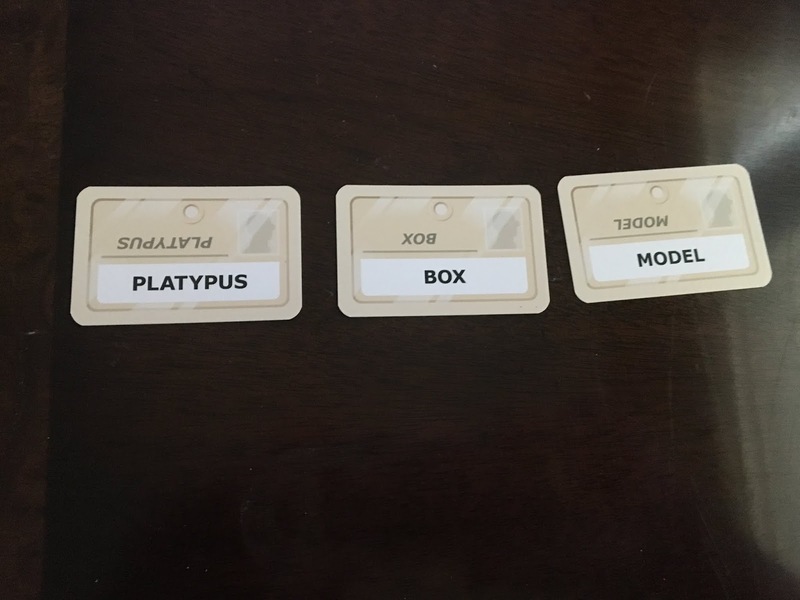 Codenames with Chat was an absolute blast. The 2015 Spiels des Jahres winner is a clever team game that can play a ton of people split into two teams. 25 words create a 5×5 grid. 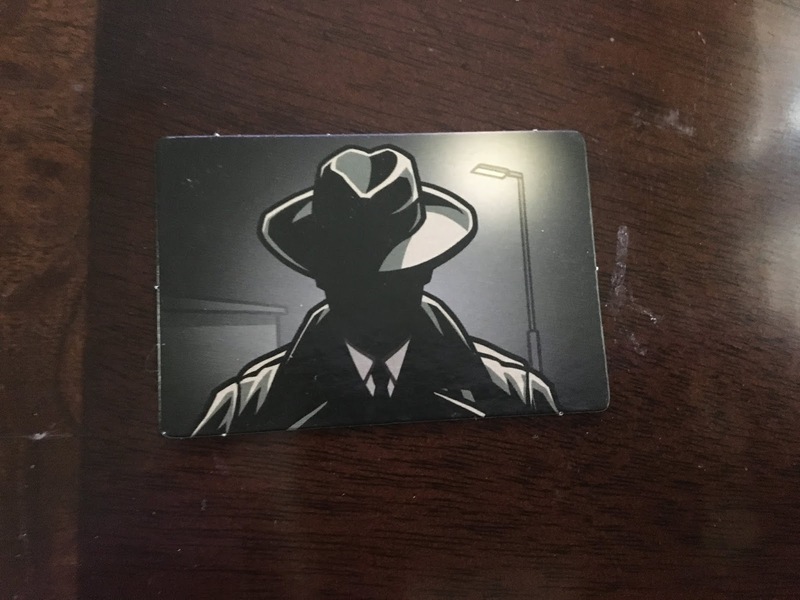 The goal for each team is to correctly identify cards based on the clues the Spymaster gives. Each team has a Spymaster, who gives a one word clue followed by a number. The number corresponds to the number of cards that the clue word corresponds to. For example, a Spymaster can say Sports 2. That means that the Spymaster is trying to get his team to correctly guess 2 words related to sports. The team that correctly guesses all their clues first wins! But be careful, there is always one clue that ends the game immediately if guessed. There are also innocent bystanders that if guessed, end the turn for the current team. The Red Spymaster needs to be careful when giving clues, because if a Blue word is guessed, the Blue team gets the point and the Red team’s turn ends! For the stream, Lady Cheese and I acted as Spymasters and the Chat played both sides. I took the first 2 games, but Lady Cheese staged a roaring comeback on the last clue of games 3, 4, AND 5 to take the 5 game series! Codenames is deceptively challenging for the Spymasters. It can be hard to think of clues that work for multiple cards without giving the other team points or ending your turn (or the game!) early. It was super fun and played really well on chat. The interaction was great, as Chat debated back and worth about which words to pick. This session is what really put us over the top for the viewer numbers and led to the Twitch Affiliate invitation. I can’t thank everyone who watched and participated enough! 8/3 50 Follower Appreciation. Jackbox Games with Chat! Jackbox games have been around for awhile, spawning from the brains behind the You Don’t Know Jack trivia games. Jackbox games have a great set up where people play along on their mobile phones. It’s perfect for streaming. It was a short stream but Lady Cheese, Chat, and I played some Drawful to unwind Friday night. Drawful is my favorite game from the Jackbox packs. 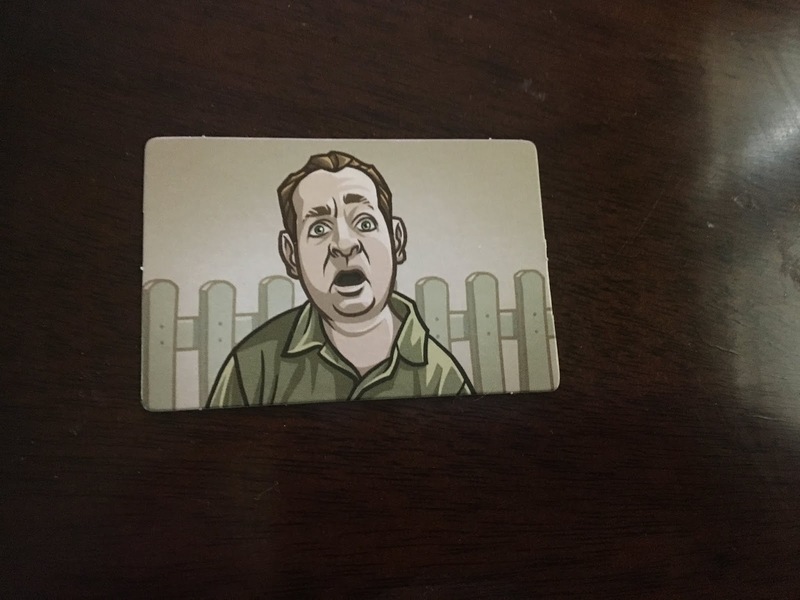 It’s Pictionary with ridiculous prompts, where one player draws based on a prompt and the other players try to guess the prompt based on the picture. The fun twist is that they also have a chance to write fake answers to throw off the other players. They receive points for every player they fool into guessing their prompt instead of the real one. This interactive mechanic is great and works really well in Dixit too. I’d love to see it in more social games rather than the voting system popularized by Cards Against Humanity. 100 Follower Update: 55/100. I am still in awe that 50 followers happened so quickly! 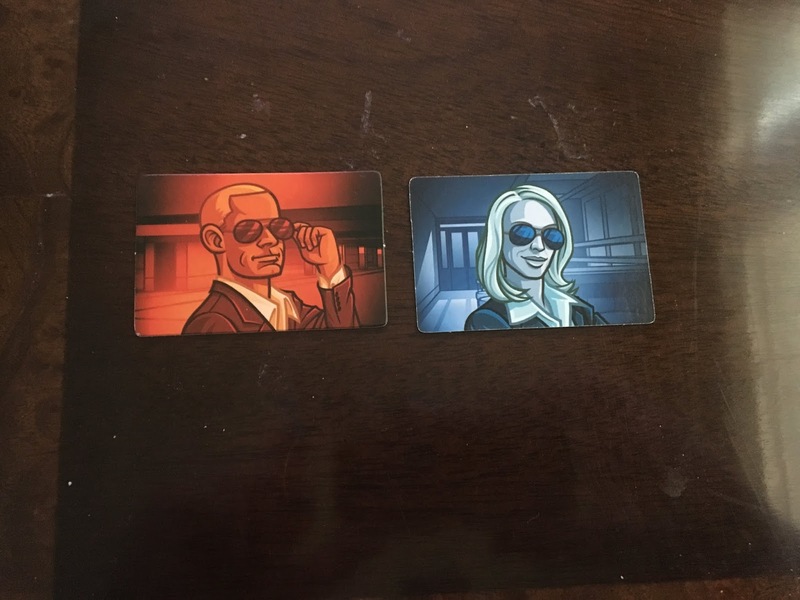 Codenames was such a big hit that I’d like to play the Disney version or the more adult themed Codenames: Deep Undercover for my 100 Follower Appreciation Special. We may play Codenames again sooner because it was a ton of fun with Chat.